Meal planning, to put it simply, bites. And not literally, but in the figurative, I-worked-all-day-and-now-it’s-8-PM-and-I-have-to-cook-dinner sort of way. Enter: A huge pot of farro. Cooking a big batch of farro to use as the base of your meals throughout the week—like shakshuka and stuffed pork tenderloin—is smart: Because even if you’re strapped for time and/or energy when it comes to making dinner, lunch, or even breakfast, you’re already halfway there. Less excuses, more food, sound good? First thing’s first: Cook a big batch of farro, like a lot. Enough to where you’ll think “Whoa, this is a metric ton of farro. How am I going to eat it all?” Don’t worry, you will. Depending on how many servings you’re looking to make per meal (are you just cooking for you, or you plus one, etc.? ), aim for 2 to 4 cups of dried farro. Watch the video below to see exactly how, but it’s super easy: Essentially, you’re boiling the grains in salted water until tender, but still chewy. 1. 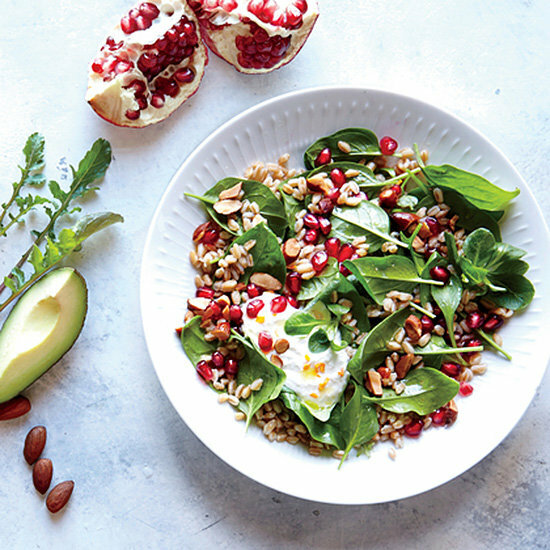 Make a breakfast salad with farro, pomegranate, and a honey-lemony ricotta. You can pack it for lunch, too, keeping the components separate so the spinach doesn’t wilt. 2. Top plain Greek yogurt with farro, toasted and chopped almonds, dried cherries, chopped fresh dill, flakey salt, freshly ground black pepper, and a drizzle of olive oil for a savory and sweet-tart spin on the usual breakfast parfait. 3. 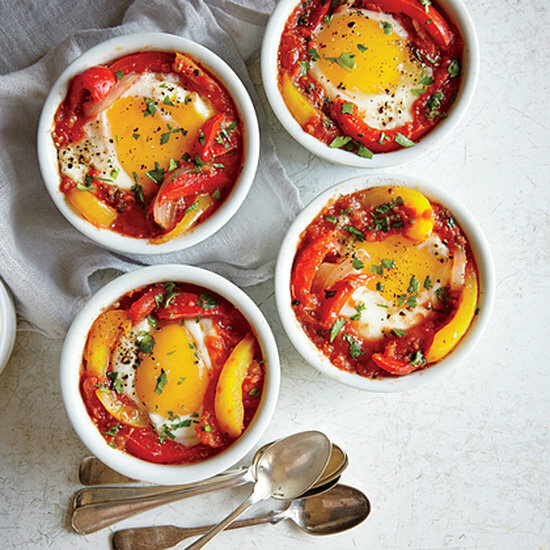 Stir a cup or two of farro into shakshuka‘s tomato-pepper base for an all-in-one meal. With this recipe, you can even make the shakshuka ahead and freeze for up to 8 months for a breakfast that’s as easy as one-two-thaw. 4. Add farro to veggie burgers, like these herby black bean burgers, for a hearty patty ready for layering with ketchup, mustard, lettuce, pickles, and all your other burger topping desires. 5. Using farro in a grain salad is perhaps the most obvious use, but not without reason: Grain salads are hearty, yet light. Plus, they’re customizable, ready to handle your leftovers and pantry odds and ends. While you can follow a recipe—like this one with peas, pancetta, and radishes—you don’t need one. 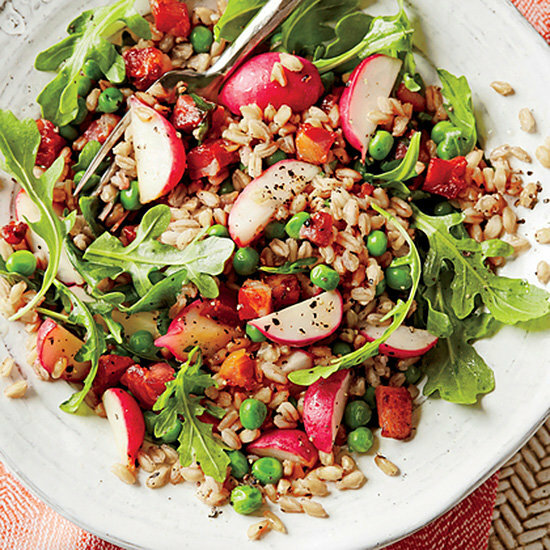 To build a good grain salad, pick add-ins that have varying textures and flavors, like something crunchy (radishes), sweet (peas), salty (pancetta), peppery (arugula), and herbaceous (mint and basil). Then, all you need is a simple dressing—like olive oil, lemon juice, and honey—plus salt and pepper to taste, and you’ve got some mighty great grains. 6. Add cooked farro to your favorite vegetable soup for something a bit heartier. In this recipe, the nuttiness of the farro pairs exceptionally well with earthy Swiss chard, creamy chickpeas, and salty Parmesan. 7. 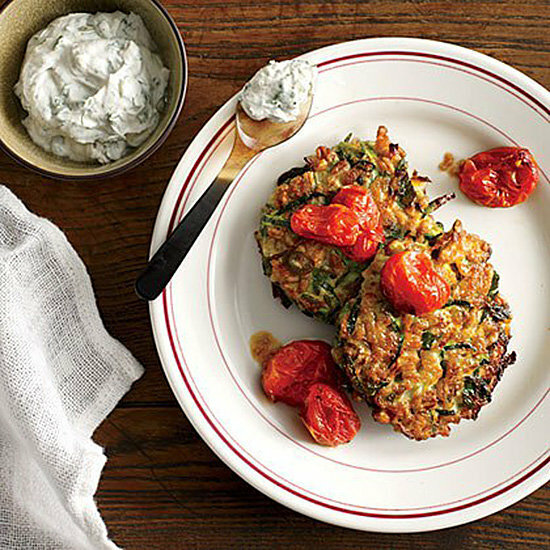 For something that’s a cross between a fritter and a cake, fold cooked farro into shredded zucchini patties. Pan-fry until golden brown, then topped with herbed goat cheese (flecked with chives, dill, and tarragon) and slow-roasted grape tomatoes. 8. Stuff pork tenderloin with dried figs, parsley, and farro. Brown and roast that roll, then slice to reveal the farro filling (like many things, the filling is, of course, the best part). This article was written by Riddley Gemperlein-Schirm from Food & Wine and was legally licensed through the NewsCred publisher network. Please direct all licensing questions to legal@newscred.com. Some of our favorite ways to use up a large-batch pot of farro? Spinach Salad with Farro and Cinnamon Vinaigrette, Butternut Squash and Kale Farro Risotto and Farro Rice Pudding.